When it’s time for Hummer service, the auto mechanics at Walker Automotive are ready and willing to get your car running in optimal condition. With over 25 years of providing expert auto repair and service, you can count on our team to handle any problem, big or small. At Walker Automotive, it is all about communication. 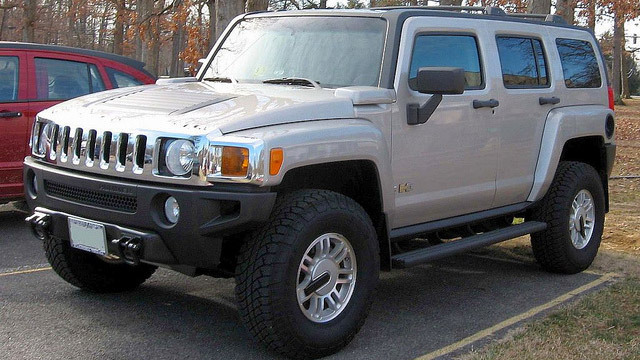 Bring your car to our auto repair shop for Hummer service and we will be direct with you from start to finish. We are all about being transparent, as we provide notes, pictures, and even the part itself. Not only do we pride ourselves on honest communication, we are dedicated to staying on the cutting edge of the automotive industry. Our auto mechanics keep up to date with training, and we have access to an international database for auto repair. “Over my 30+ years of automobile ownership I have used many automotive service centers, mechanics and the like. None have matched the quality and expertise found at Walker Automotive. The crew at Walker Auto. consistently adds a level of professionalism and care that is simply unmatched elsewhere.” -- John K.
From preventative maintenance to a complex brake repair, trust Walker Automotive to handle any and all auto repair. It’s all about transparency here, as we are upfront and honest each step of the way. For a facility convenient to both New London and Wilmot that goes the extra mile to repair and maintain your vehicle, you are in the right place. Schedule an appointment for Hummer service. Walker Automotive is located at 3 Deerwood Dr., Wilmot, NH 03287.